encountered heavy inspection from both environmental activists like and scientists. Many consider that the dam will eventually result in disaster. Some worries include the dam trapping pollution, producing earthquakes and mudslides, displacing citizens and according to a report more than 1.3 million people have already been enforced to relocate, and terminating historical locations – alongside with the habitats of rare animals. 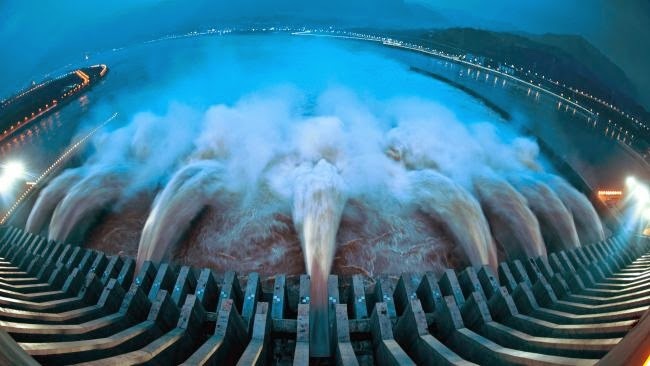 (The government finally approved that the project was ill conceived – after years of labelling the dam one of the most remarkable pieces of engineering in Chinese history – but the loss is already done.) The last 32 generators went into action in July last year. The flowing water produced by the dam has sufficient power to produce about 22.5 million kilowatts of energy, which is equal to around FIFTEEN nuclear reactors and, obviously, it doesn’t cause worries about radioactive materials being released, which is a very good thing, the terrible effects can be cancelled by most, mostly due to the fact that it’s a clean, effective way of rendering energy for a growing population. Earth’s rotation changes regularly, with many changed variables added into the equation. First, we have the moon gradually receding from the Earth changing Earth’s rotation ever-so-slightly. Earthquakes also help along the process (the mega quake in Japan back in 2011changed Earth’s spin by 2.68 microseconds). Also, every 5 years the length of the day increases and decreases by approximately a millisecond, or roughly 550 times greater than the change produced by the Japanese earthquake. So readers, what are your thoughts?